Histo-Tips: Always make sure to logon or change log on before capturing images. I don't think this is a medium vein - it has a lot of smooth muscle and is quite rounded. This looks like a muscular artery. I also don't think your labels for the two layers (TA and TM) are correct. TM is the whole section made up of smooth muscle. Then there's the external elastic membrane (which you can see - the dark squiggly lines). 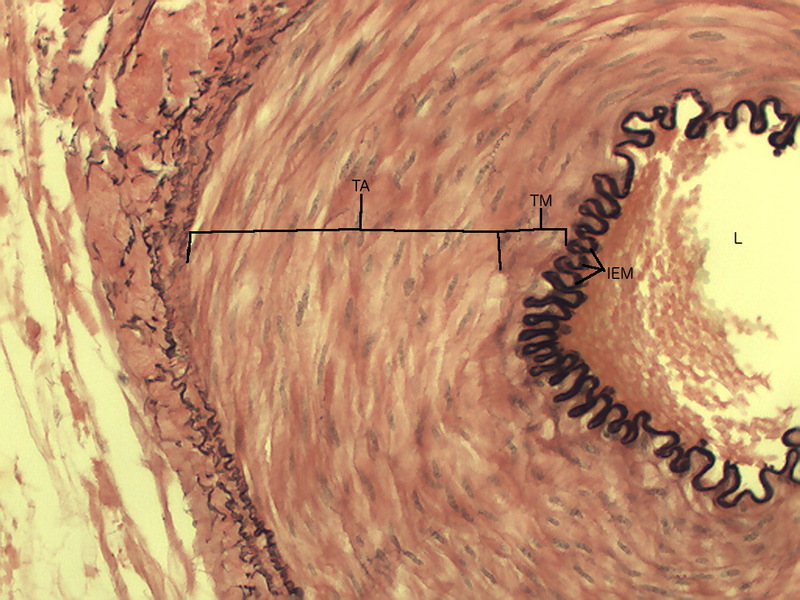 Then you have the tunica adventitia on the outside of that - which looks more like connective tissue; there aren't clear smooth muscle layers there. Please retake a picture of a medium vein. Thanks.